Downtown Cleveland has a long and colorful history and was an integral part of the early development of the United States, as well as the Industrial Revolution of the early 1800’s. 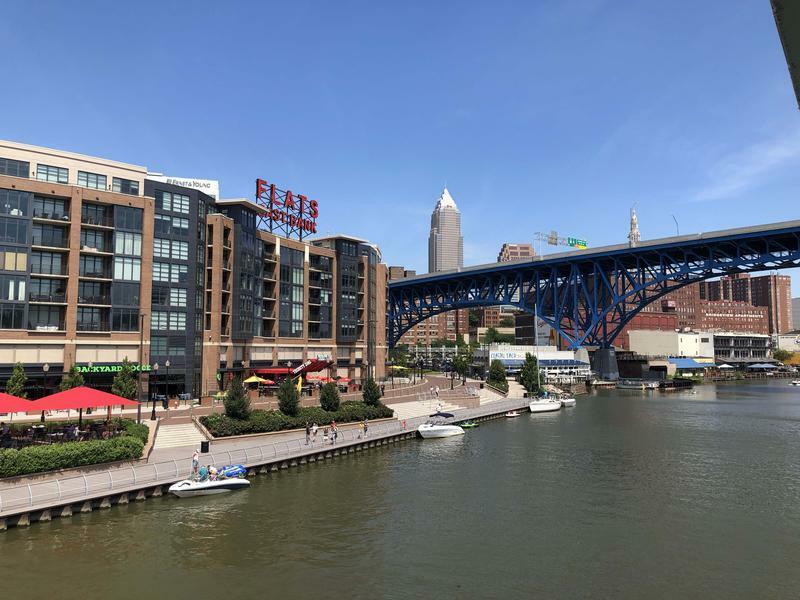 That history comes alive as you slowly coast along the city’s Lake Erie shoreline and the Cuyahoga River in Ohio. 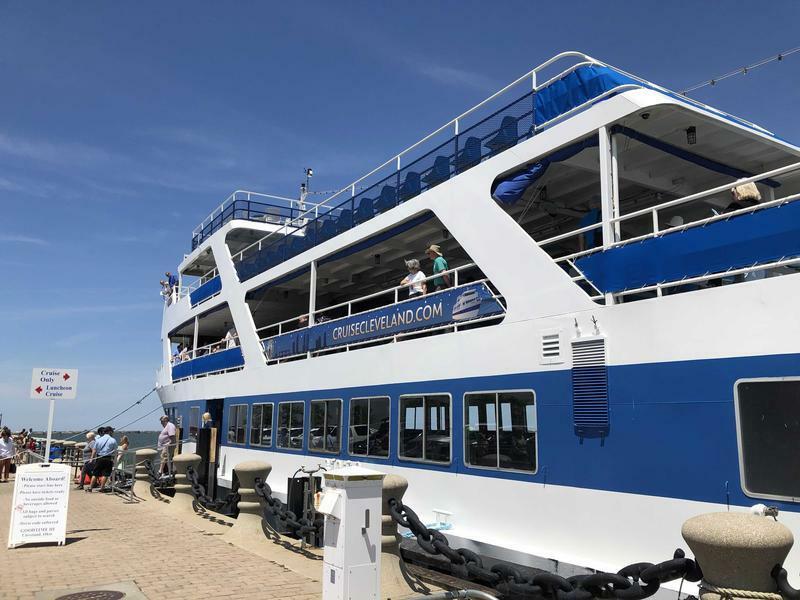 Click Here to View Public Cruises on the Goodtime 3 in Cleveland! The ship’s captain explains the landmarks and local history as you make your way through the city and the narrated tour is very thorough, truly interesting and detailed. For example, I had always wondered why the barrier wall along the shoreline was there and now the question has been answered! This wall helps protect the Cleveland and nearby coastlines from the strong waves of Lake Erie and helps calm the “lake effect” during the winter months. Cleveland has one of the most exciting skylines among all cities in the US. For us who spend most of our time on land, the view of downtown Cleveland from Lake Erie was quite breathtaking and was from an angle I had never seen. The stories of the Port of Cleveland as it grew to become an important part of the Industrial Revolution were captivating. The Port of Cleveland handles shipments of raw materials used in steel and other manufacturing as well as exporting local resources. Click Here to View Information About Private Charters on the Goodtime 3! History really comes to life as you cruise down the Cuyahoga River and the Captain continues his history lesson. The Cuyahoga River has a very colorful history and has even caught on fire a few times. The Captain provides excellent explanations of these events and the effects the Industrial Revolution had on the environment during its early stages. The Goodtime III is a very comfortable ship with plenty of room to move about and see the sights all around you. It has four decks so you can choose to be in the sun or the shade. Or mix it up and try both for a while. The trip is completely family friendly and accommodating to groups both large and small. Drinks and snacks are available during the tour as well. The Narrated Sightseeing Cruise and Narrated Luncheon Cruises are offered every day Tuesday through Sunday. 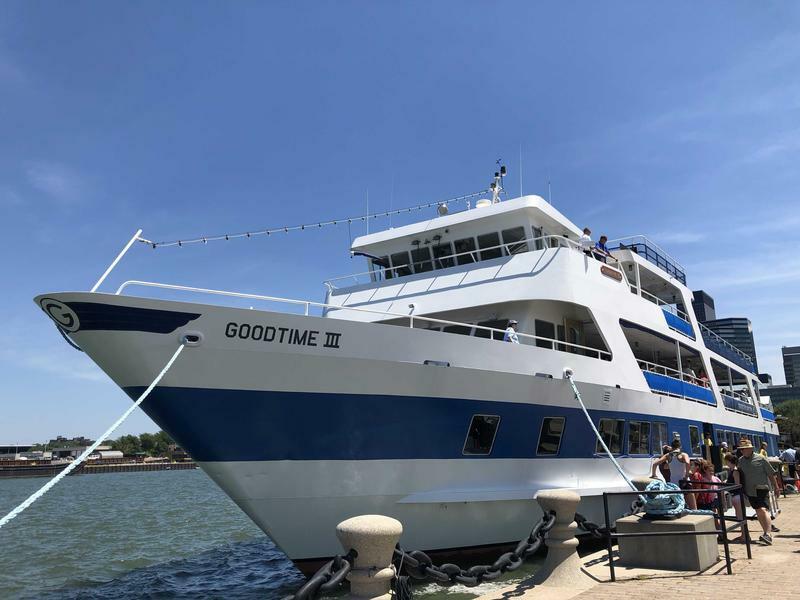 On Friday and Saturday nights the Goodtime III offers Dance Cruises, which are also a lot of fun. Saturday Night Dinner Cruises are also offered. Click Here to Buy Goodtime III Cleveland Tickets Online! 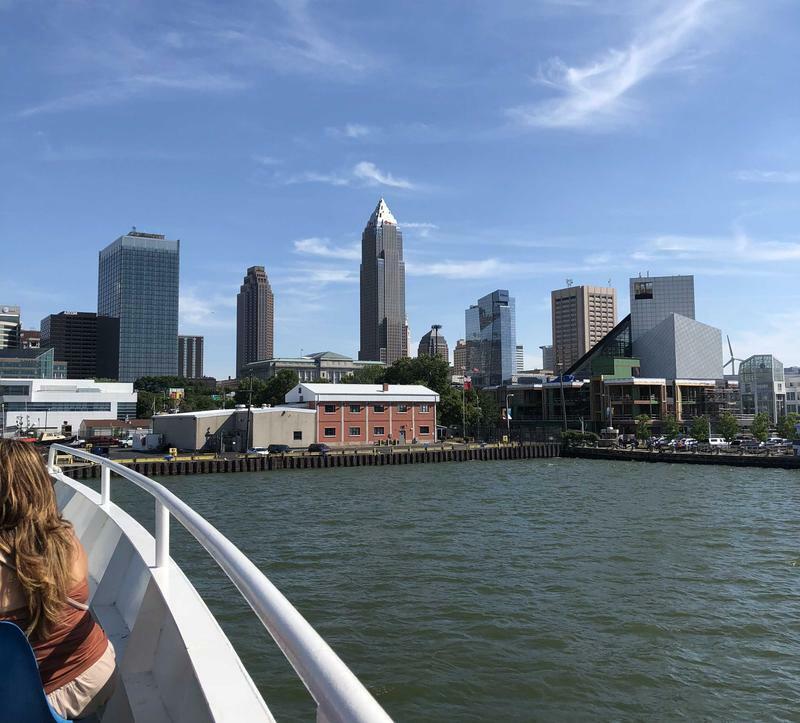 I was already a fan of Cleveland but the Goodtime III’s Narrated Sightseeing Tour provided me with an entirely new understanding of the city, its history and its future. This trip was certainly worthy of doing again and I can assure you I’ll be on a dinner cruise before the end of the summer! This cruise was one of the best-spent 2 hours I’ve ever invested!